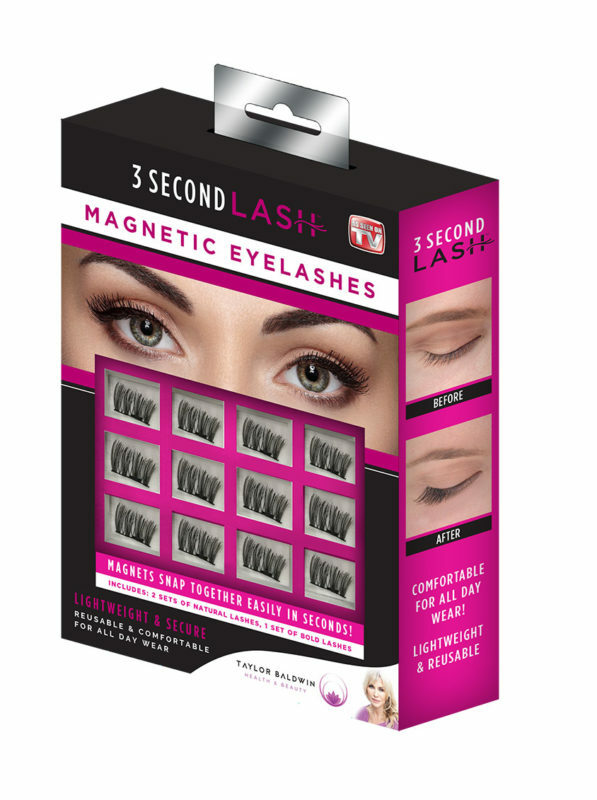 3 Second Lash™ Magnetic Eyelashes snap together to create bold, full lashes in seconds! The magnets automatically connect for secure, comfortable and gorgeous lashes. They are lightweight for all day wear and are reusable. Includes: 2 Sets of Natural Lashes, 1 Set of Bold Lashes and a Magnetic Case For Storage.